Dr. Ben Talei, a dual board certified facial plastic surgeon of the Beverly Hills Center for Plastic & Laser Surgery, is a leading figure in the field of minimally invasive rhinoplasty (nosejob) and minimally invasive revision rhinoplasty. He is constantly pushing the envelope in order to achieve significant results that are more natural with less swelling and downtime. Although this type of nose procedure ccannot be performed for all types of patients, for select candidates the outcomes are remarkable. What is Rhinoplasty? What is a typical Nosejob? A nose job or rhinoplasty is the surgical reshaping of the nose, most often for cosmetic reasons. For certain patients, fillers can be used to augment or change the shape of the nose when performing liquid rhinoplasty, filler rhinoplasty or a liquid nosejob. Most surgeons in the country are trained to utilize the open rhinoplasty technique most often. This involves making an external incision through the columella and elevating the skin and muscle layer in order to gain access to the bony and cartilaginous infrastructure of the nose. Closed rhinoplasty can often achieve the same outcome without the use of external incisions. This can’t be performed with every nose however, and not all surgeons are comfortable performing rhinoplasty using a closed or endonasal technique. When they do, they typically only treat the dorsum (bridge and top) of the nose, avoiding any significant tip work or tip refinement. Surgeons with more advanced techniques are able to affect a greater change and perform complex reshaping using only internal incisions. The benefit to closed rhinoplasty is that it provides faster healing times and avoids external incisions and scars. Neither approach is right or wrong to use. What dictates the type of rhinoplasty performed is the surgeon’s comfort level, experience and what the patient’s nose permits. From either approach, the cartilage and bone can be reshaped to provide a more harmonious and pleasant appearance. Many specialists are also committed to improving nasal breathing. Although rhinoplasty is one of the most commonly performed cosmetic procedures, you must remember that it is also one of the most difficult. The majority of surgeons may be able to get an adequate outcome with a simple nose and minor changes. However, it truly takes a specialist to help you judge what is right for you and obtain results in a predictable and reproducible way for every nose type. What is Minimally Invasive Rhinoplasty? Minimally invasive rhinoplasty is a technique pioneered by Dr. Talei. This technique shortens healing time and bruising even more, and it leaves minimal to no evidence that a surgery was done. This is a form of closed endonasal, or internal rhinoplasty, consisting of more limited incisions and less dissection, which makes the procedure more difficult. All incisions are made internally with no external evidence of scar or discoloration. Making more limited incisions gives the surgeon less room to work in. So, pre-operative photography and a detailed analysis is of the utmost importance in order to help predict the maneuvers that need to be made. Dr. Talei’s patients are consistently thrilled with the results, and even their closest family members have difficulty accepting that a procedure was done. What sets Dr. Talei apart, is that he is able to obtain the most significant changes in the nasal aesthetic and breathing. This is while improving balance within the face and maintaining an entirely natural and untouched appearance. At the Beverly Hills Center for Plastic & Laser Surgery, we are educators dedicated to understanding and treating only the face. 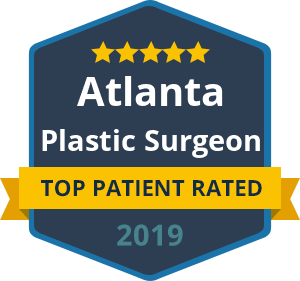 When considering plastic surgery, you must understand that the face is the most complex and dynamic region in the body. Trust your face to a specialist and contact us today to discuss your specific needs.